Diversification is not just something we want our customers to utilize. Diversified revenue streams have become more and more important in the brokerage world. Options products offer a way to diversify your revenue stream and provide a new product to your customer base. Our panelists are experts in this area and will not only be discussing how and why you should be using options but also how to implement successfully within your business. The experience and expertise of this panel is mind boggling and if you have thought about utilizing options in your firm or want to learn how you can improve your current options offering this session is a must. While trading, Nick continued developing software as an independent contractor. During his time on the floor, he created options pricing programs for many of the brokerage groups at the Chicago Mercantile Exchange (CME). Nick also developed an options pricing spreadsheet that was used by many of the broker groups at the CME and the Chicago Board of Trade (CBOT) – the precursor to QuikStrike. John C. Nelson is president of a CTA, The Applied Research Company. 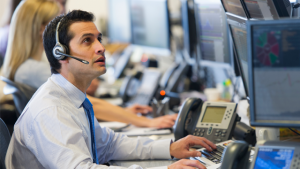 The firm publishes the MarketWorks® and OptionWorks® line of research products and offers consulting services to traders, brokers, vendors, and exchanges worldwide. He serves on advisory boards for the McCormick School of Engineering at Northwestern University and NIBA. Mr. Swanson brings a well-rounded commodity and foreign exchange background. Glenn has an in-depth knowledge of trading technology and the order execution process that has served him well in the futures industry. Mr. Stasys is a leading expert in Agricultural options. With over 17 years of experience, and applying a strong expertise in the exchange space, Steven is tasked with running the Agricultural options complex (Grains, Oilseeds, Dairy and Livestock) for the CME Group.Steven started his career on the Chicago Board of Trade floor in 2001 becoming a proprietary options trader for Ronin Capital. He has managed multiple option books in different products but has the most experience in the Grain and Oilseeds complex.